To all the wildlife buffs and nature lovers, Indian Wildlife Tour has been successful in offering an amazing and unique experience to the tourists coming from across the globe. 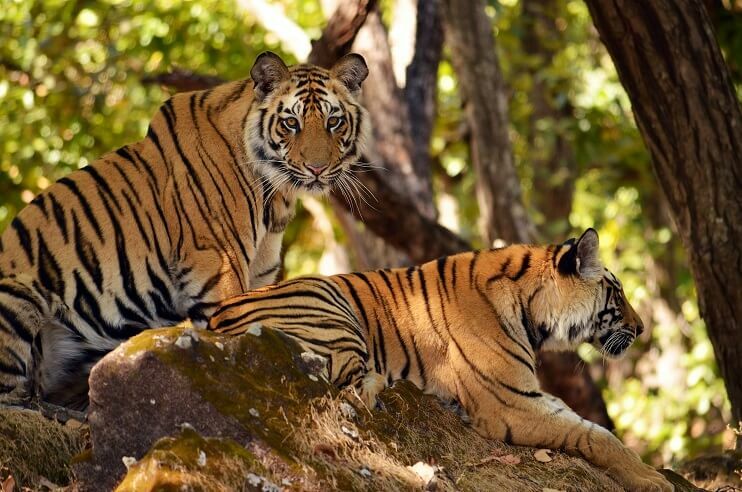 Out of all the other fantastic wildlife tours, the Five Tiger Reserve Tour gives the tourists an opportunity to stay in the best accommodation while exploring the fiver tiger reserves of central India. Here is the 15N/16D itinerary which is well-designed by our experts for the wildlife enthusiasts that won’t let them miss out on anything. 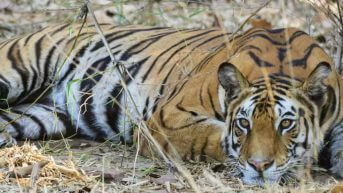 The tour covers Panna, Bandhavgarh, Kanha, Pench and Satpura national parks giving the tourists an opportunity to spot the majestic predators in their natural habitat which is a unique wildlife experience in itself. 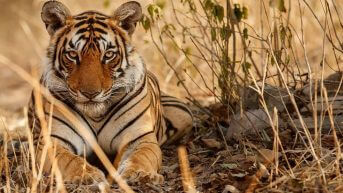 Starting the wildlife tour from the Panna Tiger Reserve to completing the trip on the Satpura Tiger Reserve, tourists will experience the best of Central India while staying in the accommodation closer to pristine nature. Taking the five tiger reserves tour with us, our experts assures you impeccable arrangements, hassle-free transportation and above all warm hospitality. 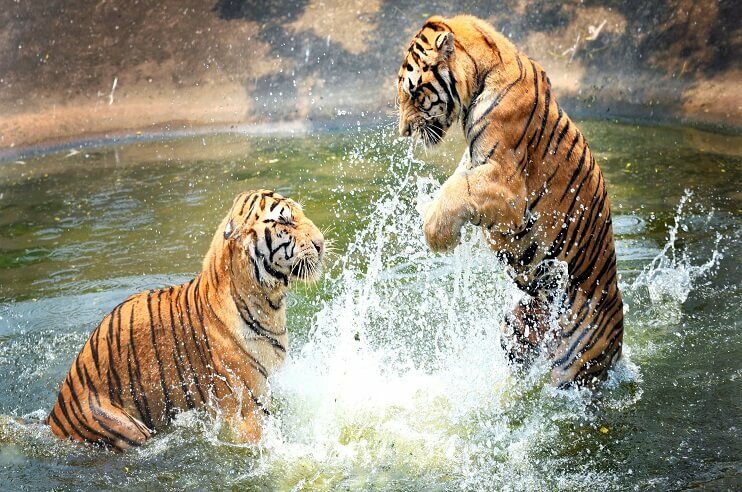 Take a look at the itinerary that will help you make the most of your Central India Wildlife Tour with us. On arrival at Khajuraho airport/railway station, you will be greeted by the tour representative who will take you to the Ken River Lodge covering a distance of approx 89 km. The lodge offers a unique blend of traditional royal hospitality. 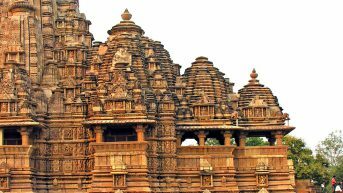 After getting freshen-up, you will be taken for a half day temple visit at Khajuraho and returning back for dinner and overnight stay. In the morning, head to Panna National Park where tourists will get the opportunity to experience the morning and evening jeep safari and spot the tiger along with other animal species. Once done with it, head back to hotel/resort for dinner and overnight stay. In the morning, head to Panna National Park for the morning and evening jeep safari for getting the best ever wildlife experience. Once done with it, head back to the hotel/resort for dinner and overnight stay. 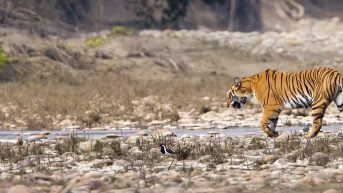 In the morning, after having breakfast, head to Bandhavgarh Tiger Reserve covering a distance of approx 185 kms. Upon arriving, check-in into the hotel/resort. The evening will be for leisure with early dinner and overnight stay. In the morning, head to Bandhavgarh National Park for morning and evening jeep safari where tourists will witness the forest being predominantly covered with vegetations like Sal, Sali and Dhobin and a lot more. Once done with exploration, head back to the lodge for dinner and overnight stay. In the morning, head to the Bandhavgarh Tiger Reserve for morning and evening jeep safari that will let the tourists spot many animal species. Once done with enjoying the safari, head back to the hotel/resort/lodge for dinner and overnight stay. 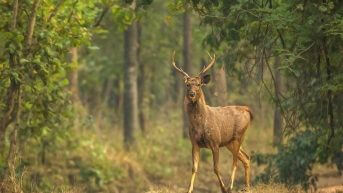 In the morning, post breakfast, head to the Kanha Tiger Reserve covering a distance of approx 215 km. Upon arrival, you will be taken to the hotel/resort/ lodge where you can rest for a while. The evening will be set for a visit to the village where you can learn about the culture and tradition of the locals. Dinner and overnight stay will be at the lodge. In the morning, head to the tiger reserve for morning and evening jeep safari amid the spectacular Sal and Bamboo forest, rolling savanna and winding streams. Once done with it head back to the lodge for dinner and overnight stay. In the morning, leave for Kanha Tiger Reserve for getting indulged in the morning and evening jeep safari where tourists will get the opportunity to spot the rare Hard Ground Barasingha and other animal species including Tiger, Leopard, Sloth Bear, Deer, Ungulates, and more. Once done with it, head back to the lodge for dinner and overnight stay. In the morning, post breakfast head to the Pench National Park covering a distance of approx 186 km. Upon arrival, check-in into the hotel/resort/lodge. After resting for a while in the lodge, the evening will be for spending time at the in-house organic vegetable & herb garden. Dinner and overnight stay will be at the hotel. In the morning, head to Pench Tiger Reserve for morning and evening jeep safari which will let the tourists relive the childhood days from the ‘Jungle Book.’ Once done with enjoying the jeep safari, head back to the hotel for dinner and overnight stay. In the morning, head to the tiger reserve for morning and evening jeep safari where tourists will come across numerous wildlife creatures including Tiger, Wild Dog, Indian Gaur, Jackal & Leopard and many other birds and mammals. Once done with enjoying the jeep safari, head back to the lodge for dinner and overnight stay. In the morning, post breakfast, head to Satpura Tiger Reserve. Upon arrival check-in into the Denwa Backwater Escape for lunch. After resting for a while, the evening will be for a leisure walk. Dinner and overnight stay will be at the lodge. Head to Satpura Tiger Reserve for an early morning Jeep Safari. In the afternoon, tourists will enjoy the boat safari. 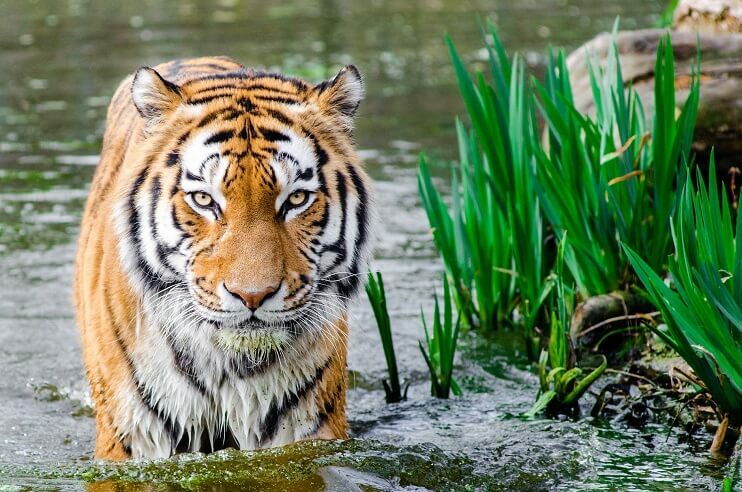 On exploring the tiger reserve, tourists will come across the beautiful rugged terrains consisting of fascinating deep valleys, narrow gorges, cascading waterfalls, thickly dense green forest of Sal and other medicinal herbs and a lot more. 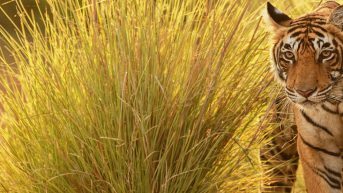 In the morning, head to the tiger reserve for morning jeep safari and evening will be for walking safari where tourists can even get indulged in the birdwatching. Once done with exploring the Satpura Tiger Reserve, head back to the lodge for dinner and overnight stay. In the morning, post breakfast check-out from the Denwa Backwater Escape and drive to Bhopal airport/railway station for your onward journey.